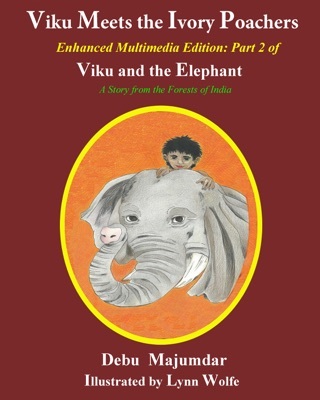 This is the story of a boy named Viku and a young elephant in the jungles of India - how they became friends and what they did for each other. Haatee, the elephant, communicates with only two sounds - a happy trumpet or a sad cry - but the two understand each other very well. 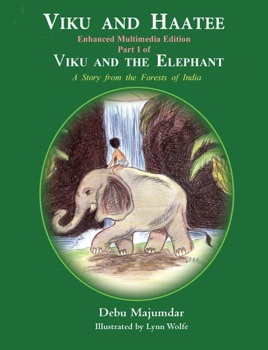 The elephant gave Viku something valuable from the forest, but that brought the police to Viku's house. Read how the elephant saved Viku's family from disaster. Their adventures have "enough suspense and action to keep the attention of the children who are just beginning to take on the complexities of longer and more challenging chapter books....a chance to vicariously fulfill a dream....Whereas Horton, Dumbo, and Babar (lovable as they may be) are elephants one might want to befriend, one does not encounter them in their natural habitat. This heightens the vicarious experience of the reader." This iPad multimedia story has photographs and sounds from India – tigers, elephants, monkeys, striped hyenas, and birds roam the pages. Details of life in India are part of the story – how Indians greet each other, what ordinary people eat – all at the stroke of your finger. There are eight illustrations that bring the story alive and 25 Pop-ups of explanations or photos to enhance the reading experience. You also have the option to listen to the story one page at a time. 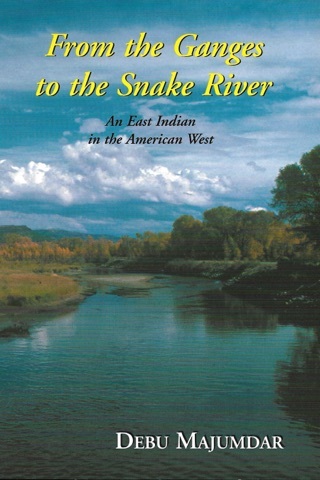 A great book for both the story and for cultural knowledge. Debu Majumdar’s interactive iPad story from the forests of India, Viku and Hattee, has impressed me very much. It provides a new way to connect with and educate young readers about another culture. cultural traits, Gurkha knives, and tropical forests. These are highlighted words that open with pictures when one clicks on the word - an excellent way to know more about a topic. and peacocks roaming in the jungle around Viku’s village. get bored with standard testing, this has been a great way to keep their attention! The child immediately finds out if he has the correct answer. One can read or listen to the story, page by page, by clicking the microphone symbol on top of each page. awakened me to new possibilities of engaging young children.